Twelve years ago, Lagniappe began keeping Mobile funky with its alternative reporting and off-beat attitude. Of course, Rob Holbert and Ashley Toland knew the Azalea City craved the latest in music news, and they obliged. However, it was a different time. Venues were scarce and cover bands reigned supreme. All the while, many local acts featuring original music were battling for attention. Since then, things have changed greatly. Mobile features several venues that cater to a plethora of musical genres. 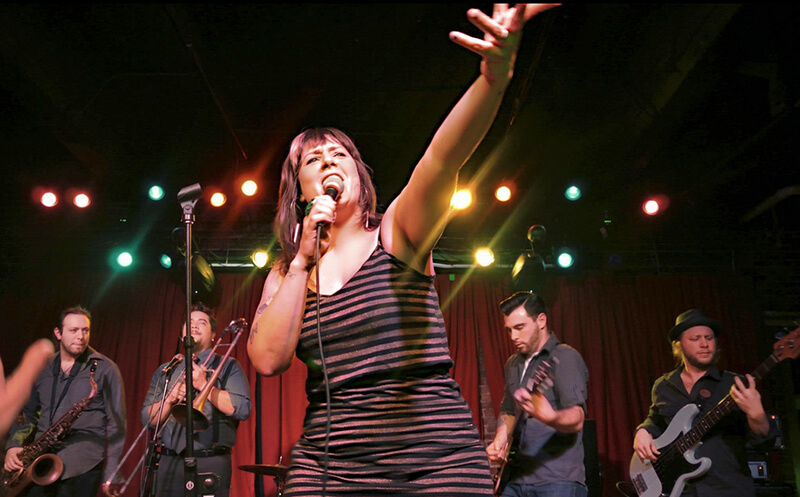 Once again, national acts are frequenting the city and local, original music is in great demand, with some local bands receiving national attention. Throughout the times of feast and famine, the Nappie Awards could be considered an annual report of the musical tastes and trends that appeal to the people of Mobile. Additionally, local scene critics have found great joy in analyzing the findings of the winner of the Nappie music categories and postulating theories as to its results. What will they think of this year’s results? The only way to find out is to reveal the winners of the music categories for the 2014 Nappie Awards! Callaghan’s Irish Social Club is one venue that has changed greatly over the years. A quaint neighborhood pub with a reputation for featuring groups on the edge of stardom, Callaghan’s won “Best Club to See Live Music” with Soul Kitchen coming in as the runner-up. According to owner John Thompson, Callaghan’s will continue to bring stellar acts to their confines. In addition to the return of Justin Townes Earle Aug. 18-19, Thompson revealed upcoming shows including John Moreland Aug. 4, Oh, Jeremiah Aug. 9 and The Mulligan Brothers Aug. 17. The Bluegill wins the Nappie Award for “Best Outdoor Bar to See Live Music” with Lap’s snatching up the runner-up position. While they offer music every night, Sunday afternoon/evening shows at The Bluegill are the best way to end a weekend. For Manager Jeff Bacon, music is one part of an intricate formula that makes The Bluegill a hotspot. Bacon also said the The Bluegill has expanded with a second bar area and an adjoining property put to use as parking lot. He said The Bluegill crew is anxiously awaiting new albums from Eric Erdman and The Mulligan Brothers as well as an encore live performance from Cary Laine and Holli Mosley. The Saenger Theatre was voted “Best Non-Bar Venue” with The Amphitheater at The Wharf following. General Manager Bob Brazier was “elated, but not surprised that the SMG managed ‘Jewel on Joachim’ has won.” In 2014, the venue has featured acts such as Old Crow Medicine Show and Travis Tritt. Music fans have also been buzzing about the upcoming Tedeschi Trucks Band show. “Best Local Band” has always been a coveted Nappie Award, and Ben Jernigan Band is this year’s winner with Mob Towne Revival serving as runner-up. Jernigan is also taking home the Nappie Award for “Best Guitar Player” with Dale Drinkard coming in as the runner-up. 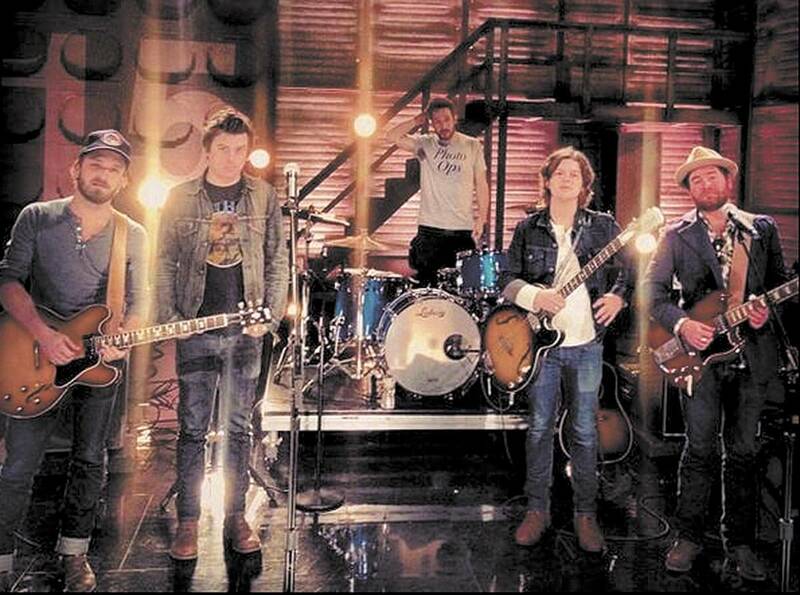 Jernigan and his crew have provided a number of memorable shows in 2014. He joined Johnny Sansone and Jabo Starks at Callaghan’s for an evening funky blues, followed by the “Where Y’at, Mobile” fundraiser, which brought fellow musicians from the Big East. Jernigan is currently working on an album and planning a Boogie Chillin’ Reunion Show that will take place at Veet’s on Wednesday, Aug. 6. Accordingly, The Mulligan Brothers have quickly become one of the Gulf Coast’s most popular bands. 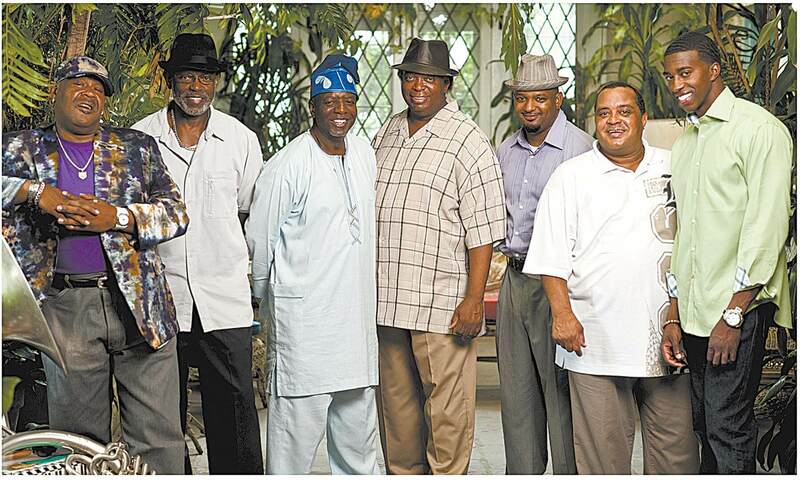 They also represented the Azalea City at the 2014 New Orleans Jazz & Heritage Festival. According to DeLuca, the band has been quite busy. Local hip-hop artist Sonny Bama wins the Nappie for “Best Band Name” with Small Zoo acting as runner-up. Bama’s summer anthem “The Bottom” quickly became a local favorite. “Long Way Home” is his debut album, and a sophomore effort is on its way. Bama revealed that his follow-up to “Long Way Home” will be called “Love and Lost Wages” and will have a fall release. He thanks the public and 92 ZEW for their continued support as he represents the city he loves. “I do my best to represent the working class people from Alabama, the food, the culture, art and the awesome music that comes from there,” Bama said. Singer-songwriter Eric Erdman has been voted “Best Solo Musician” with Ryan Balthrop taking the runner-up spot. Erdman just complete a very successful Kickstarter campaign. Ever the workaholic, Erdman will travel to Los Ageles to do pre-production on his new album before laying down tracks in Muscle Shoals. Next, he will travel to Martha’s Vineyard to be a part of Sally Taylor’s “Consensus” project. Erdman will also be producing Buddy Rich’s new album. Even though his career is quickly on the move, this Nappie Award still holds a special place for Erdman. Erdman is not the only Nappie winner to make friends with Muscle Shoals. Local country diva Holli Mosley has also been working at the legendary FAME Recording Studios on her debut album. The people have voted Mosley “Best Area Singer.” Mosley has kept her summer full with a tour alongside Cary Laine and guitarist Billy Smart. The trio has been entertaining in Texas, Colorado, Wyoming and Idaho. Mosley admits that winning this Nappie is a humbling experience. Show Me Everest emerged from the smoldering ashes of Top of the Orange, and Show Me Everest’s drummer Chad Sutley is taking home the Nappie Award for “Best Area Drummer.” Sutley admits that he is “surprised and honored” by the award and was quick to testify to the extensive talent of his fellow drummers across the Azalea City. Currently, Sutley is working with band mates Kevin Hurt (guitar) and Ryan Campbell (bass) on Show Me Everest’s repertoire. Chris Spies won the Nappie for “Best Area Piano Player” with Shawn Wright as the runner-up. Spies sees the Nappies as a “fun way” to check out what is new and hot in the Mobile music scene. Spies has just finished his second record. He also produced Hotel Oscar’s live album. Spies will soon join the Batiste Family and Amanda Shaw on a tour of Africa. Jawakatema Davenport dons the tiara for “Best Drag Queen Performer,” and Miss Venus is the category’s runner-up. Davenport has been making plans for the Mr. Southern Beau/Miss Southern Belle drag pageant at B-Bob’s on Sunday, Sept. 14. She has also been seeking out new venues for drag performances. The final Nappie of the music categories goes to “Best DJ (not radio, the record scratchin’/ mash-uppin’ kind),” and the winner is DJ Hunter Clarke of Yellowhammer Productions with DJ Salty as the runner-up. Clarke was last seen scratching it up at the Access Magazine “Hot Summer White” party. He has also added new video effects and lighting to his show. Summer has been a busy season for Clarke with appearances at wedding receptions and kickball. “From Mardi Gras to the everyday night life, good music is a lifestyle in the great city of Mobile, Alabama,” Clarke exclaimed. Judging from this year’s Nappie winners, Clarke is correct, and the critics will be making their yearly declarations on the state of the music scene from this list of winners. However, there is one constant with each winner. Mobile’s music scene is busy. 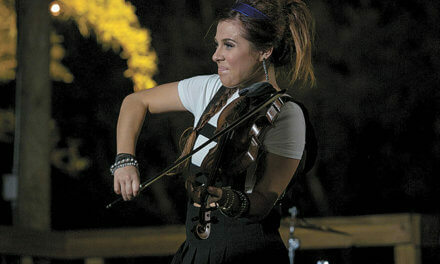 Musicians are creating all kinds of music and showcasing it to the Gulf Coast and beyond. With this kind of momentum, the future is looking bright for local music.